After whining about the pressure of the 50/50 Reading Challenge in October, November turned out to be a great reading month for me. Not only did I read my quota of books to stay on track for the Challenge, I thoroughly enjoyed the stories I chose. Thoroughly. The selections are varied in style and theme but each one is a satisfying piece of writing. I heartily recommend every single book on this list. I’m now almost halfway through the last month of this 50/50 Reading Challenge and I haven’t completed even one of the last six books I need to read. Am I panicking? A little. Time is precious this time of year and I am really feeling the lack of it. Pumpkins are rotting on my front porch, the Christmas tree has been standing in the living room undecorated for three days, and I haven’t shopped for a single gift. This December, though, the closer I get to Christmas, the more relaxed things will become. How weird is that? I am actually anticipating a few days of rest before the holiday arrives. And, as a back-up plan, I have two 5+ hour flights over the holidays to catch up on the reading I don’t finish before Christmas. I might have to engage in some marathon reading sessions over the next three weeks but I intend on finishing this challenge as a winner. Lovely to see you around. Thank you – and gosh! I LOVE the illustration to The Thirteenth Tale! Super. It is cool cover art, isn’t it? Yes – and I meant to also say – how I liked the reviews that went with it! My apologies, Stephany. 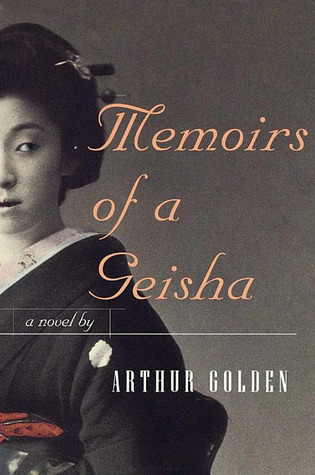 Memoirs of a Geisha is one of my favorites! I will have to check out some of the other books on your list. Thanks! Stephany, than k you for stopping and liking a couple of posts. To Kill a Mockingbird is one of my favourite books and movies. It is such a moving story that I find my way back to it regularly. I look forward to following your whimsey of your writing or photos.